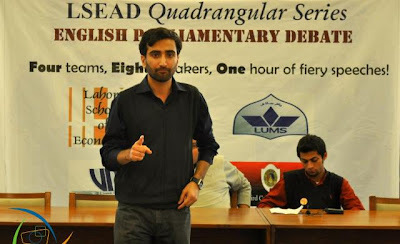 Lahore School of Economics Association of Debaters (LSEAD) British Parliamentary Quadrangular Debate was held at the Lahore School on the November 30, 2010 in Mahmood Chaudhry Library at the Main Campus. 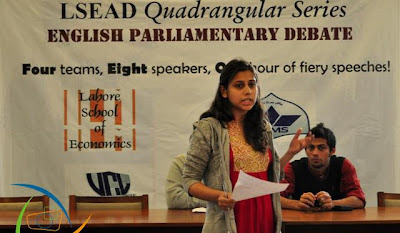 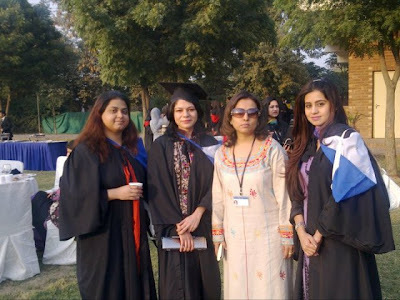 The teams present were the opening government LUMS (Ali Javed and Osama Zaman), opening opposition Kinnaird College (Osheen Fatima and Amel Ghani), closing government UCL (Abbas Ali and Neeshay Aqueel) and closing opposition the Lahore School itself (Syed Ali Akbar Abbas Rizvi and Shahraiz Chishti). The topic under discussion was, “this house believes that globalization is a tool for exploitation.” After a heated debate the decision eventually boiled down between LUMS and LSE with LUMS managing to get victory by a split decision. 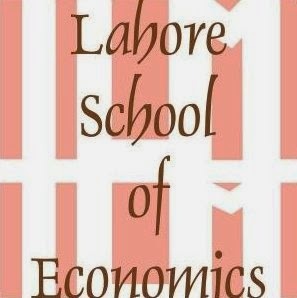 Dr. Shahid Amjad Chaudhry, the Rector Lahore School of Economics, Dr. Azam Chaudhry, the Dean of Economics, Javed Quershi, the Director Extra Curricular and large number of the students from Lahore School and students from Learning Alliance School attended the debate. 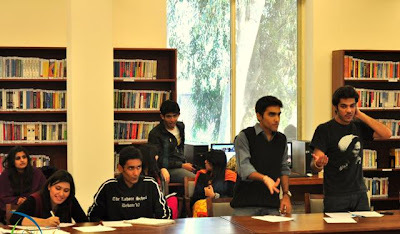 Images: Lahore School Photographic Society, more images here.